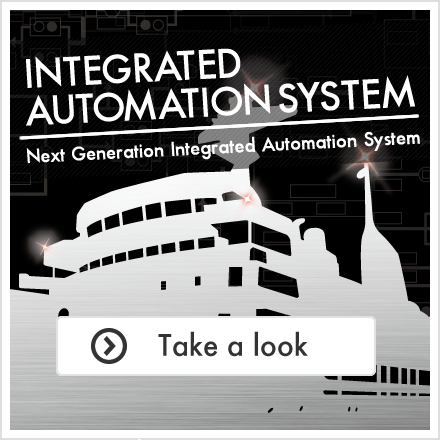 KEI SYSTEM is making and developing computer systems for ships. Our main products are as follows. 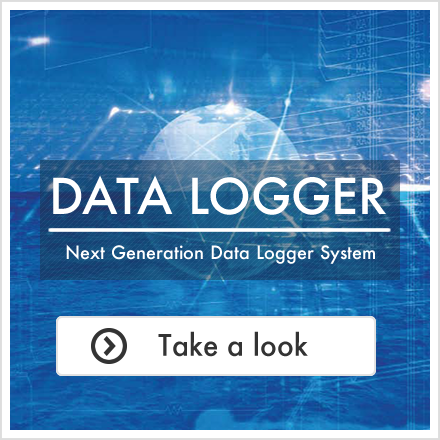 ・DATA LOGGER: a device monitoring and recording data of many devices on a ship; for example, engine temperature, pressure, and so on. 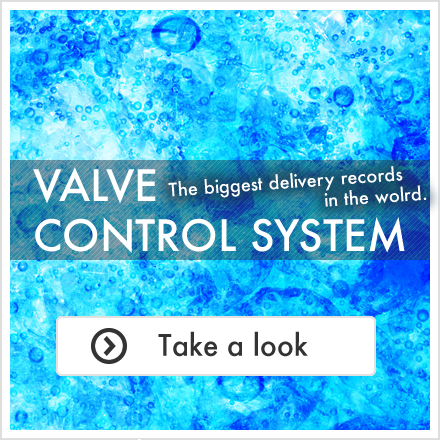 ・VALVE CONTROL SYSTEM: a device operating valves, pumps and so on. For example, it can operate valves of Ballast tank to adjust hull inclination. We will provide customers with these products customized in accordance to the customer's requests. ●Contribute to the Society through Engineering. ●Development and manufacture of computer system hardware/software. ●Development or real time control. Industrial use computer system for Monitoring, Instrumentation and Control on marine use and lsnd use. ●Web-base Client / Server system for Remote monitoring. ●Technical consultant of computer system for industrial use. 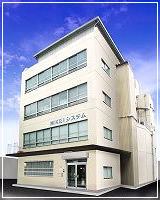 Nunotani Nautical Instruments Mfg Co.,Ltd. KEI computer systems are designed and produced so that it can continue to run 24 hours under a severe movement and environment condition. Certificates of Type Approval are issued by inspection organizations in various countries for a product certified its quality in terms of temperature, humidity, vibration, noise and so on. These are the certificates for KEI computer systems issued by the following organizations. KEI possesses the optimal hardware design technology thus providing high cost performance product, based on the reliable technology with rich in experience for more than 30 years through 8,16,32,64 bit machine. KEI is good for building the real time multitask system that offers high-speed response time. 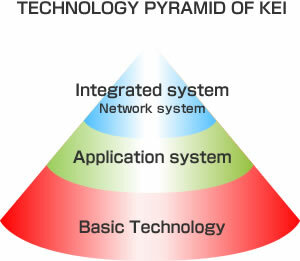 KEI's software system design technology makes easy cooperation with Windows OS. Furthermore it keeps up to recent internet connection. By combining the highly reliable hardware, high speed real time software and input-output interfaces that withstand in hard environment, the diesel engine monitor, valve control, reefer temperature monitor, ship to land communication system etc. are produced. KEI builds and delivers the remote surveillance system for the various kinds of new energy plant that contribute to the cut of CO2 discharge quantity. Cogeneration system, CO2, NOx monitoring, drainage surveillance, dust processing system etc are delivered. Input-output interface transmit maximum 4000 signals with 2 communication lines without time delay. Ethernet of 100Mbps is used between main computer and graphic controller (AGU) for all information transfer. For the high reliable system, duplication of the network including I/O and main computer are available. By connecting the graphic controller, PC, router etc. on the network, small-scale system that completes within the factory to the large-scale systems including internet connection can be built. Because of the Windows OS for main computer and AGU, the affinity nature with PC is high. This yield the PC can be used as surveillance system, control system and file server easily.